It’s probably why I cringe every time the national media talks about the Packers…I mean Aaron Rodgers. I forget sometimes that is the only hot take spoken. While it was amazing to watch Rodgers win another for Green Bay. However, what led to second half adjustments by new defensive coordinator Mike Pettine? Cris Collinsworth of NBC Sports pointed out the exotic blitz packages that Pettine has created and how they found the weakness on the Bears offensive line with left tackle Charles Leno, Jr. as they stacked two to three defenders on the left side and sack Bears quarterback Mitchell Trubisky three times in the second half. Pettine is cleaning up the mess that former defensive coordinator Dom Capers left behind with a defense that was ranked in the top 25 for the last four years. His visual history has shown that he creates old school 3-4 blitz schemes and create man to man nightmares for the near future. The Rex Ryan disciple was able to clamp down on the Bears offense and leave Trubisky with a 77.2 QB rating and 171 passing yards. It’s going to take time to rebuild chemistry throughout the season but Pro Bowl defensive end Mike Daniels said it best back in June about being coached by Pettine. “It’s like Christmas every day.” That’s encouraging. 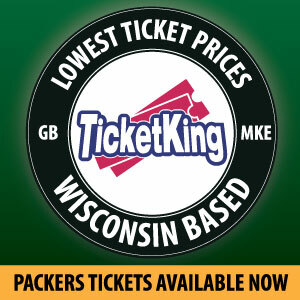 Again, it’s great that Rodgers pulled off a heroic comeback on Sunday night. However, it doesn’t matter how terrifically tooled you are as a quarterback. You need a stout offensive line to give time in the pocket and while they looked beatable in the first half, things changed. In the second half, when Mack was lined up against right tackle Bryan Buluga, Buluga knew that he only had to hold him for three to four seconds, on account of the quick tempo offense. He was more aggressive with his technique leaving enough room for Rodgers to sling it out. How did David Bakhtiari do? Put it this way. The Bears pass rush was nonexistent and they have solidarity in the interior too. 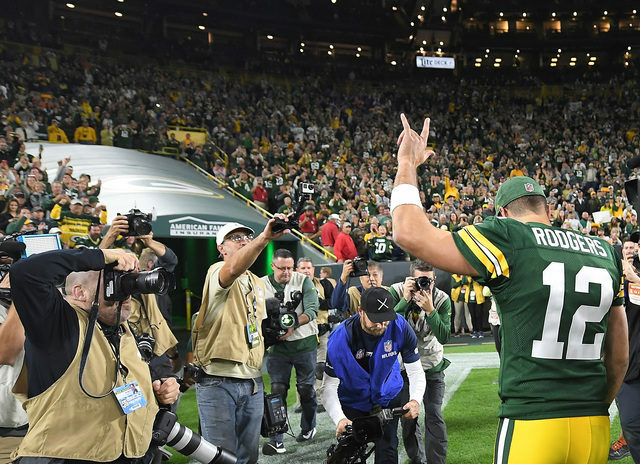 So, while every national sports radio show continues to slurp the majesty of Aaron Rodgers, true Packers fans understand that there is more to the team than Aaron Rodgers on their road to another Super Bowl. But, please do continue thinking that the Packers are a 53-man roster of one. That hot take is so 2011, may need to find new material for Week 2. This entry was posted in Jake Turner, Packers 2018-2019 Season, Packers News and tagged 3-4, Aaron Rodgers, Bryan Buluga, defense, film session, Green Bay Packers, Mike Pettine, Offensive Line, Sunday Night Football. Bookmark the permalink. Three long pass plays in the 4th. A short catch and a long run by Adams, an excellent catch on a perfect throw in the end zone to Geronimo, and a short catch and very long run by Cobb. Behind an offensive line that protected and after the defense had stopped the Bears. I think this is a really good team….as long as Rodgers is healthy. And it’s up to Rodgers, the coaches, and the players around him to keep him that way.